Another great piece of glass from Explore Scientific and sold by Agena Astro! Review by dude of Southern, California. Works great with my f/4 Starblast 4.5 inch reflector with a 450mm focal length mirror. 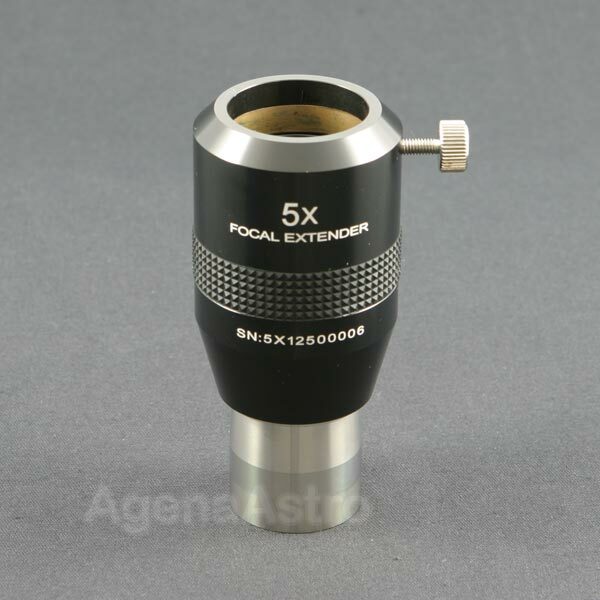 Now I can use longer focal length eyepieces with longer eye relief for higher magnification. No more squinting through tiny eye lenses with less than 8mm eye relief for me. I had great views of Jupiter at 125x with an 18mm eyepiece and Saturn at 180x with a 12.5mm eyepiece using this focal extender. Now I never go over 100x without it! Review by jrr58 of Auburn CA. Explore Scientific quality is outstanding, do not hesitate to purchase any of their products.